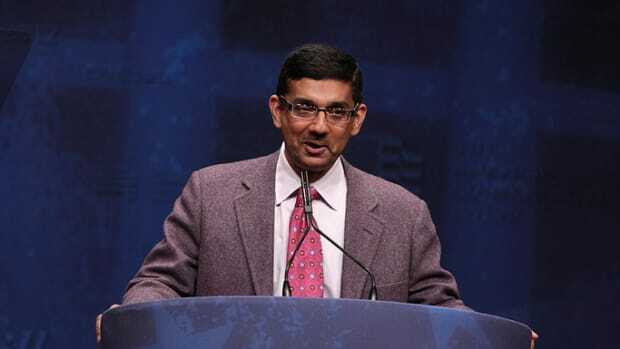 In an irony too incredible to ignore, law-breaking immigrant Dinesh D'Souza explains why all these law-breaking immigrants feel like they can just come right into the United States. 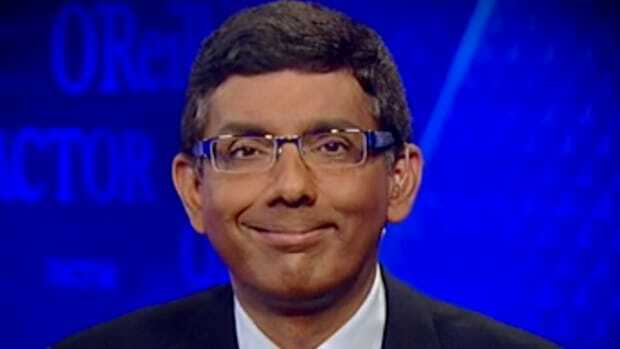 Dinesh D&apos;Souza is many things, but for our purposes here it suffices to say that he&apos;s an immigrant and a lawbreaker. Which is why it&apos;s deliciously ironic that Fox News would give him a platform on The Kelly File two months before his sentencing for campaign finance fraud to rail against the recent influx of immigrant children across the U.S.-Mexico border. 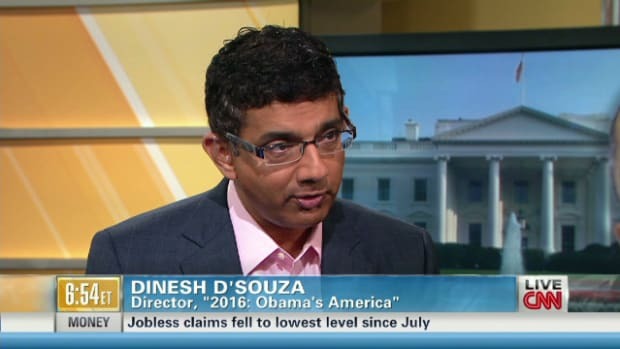 D&apos;Souza asserted that it&apos;s a direct result of President Obama&apos;s allegedly lax immigration policies. "The Obama administration for the past six years has been signaling that it&apos;s not serious about enforcing the immigration laws, that it doesn&apos;t particularly care to police the border very tightly, and moreover that it wants to have amnesty at home so that lawbreakers within this country get a break. 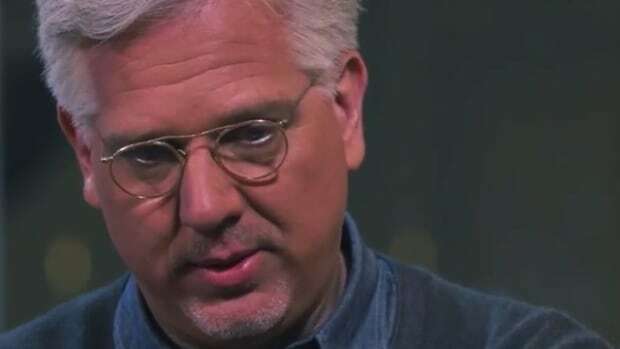 So those messages eventually filter to people in other countries and they go, &apos;Gee, well if those guys aren&apos;t particularly vigilant about their border, it&apos;s going to be a chance for us to get across.&apos;"
Yes, we really should be wary of all those immigrant lawbreakers coming into the country and breaking our laws. 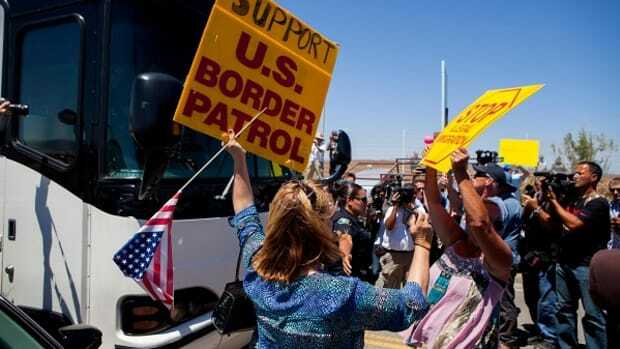 "What Alinsky&apos;s saying is that you can use, if you will, the power of people to just swarm -- in this case the border -- and the American people will be defenseless against us. They won&apos;t know what to do about it. It&apos;s a form of social and political intimidation." Why Obama wants the border swarmed by immigrants so Republicans can rant and rave about how he is ruining America once again is anybody&apos;s guess. 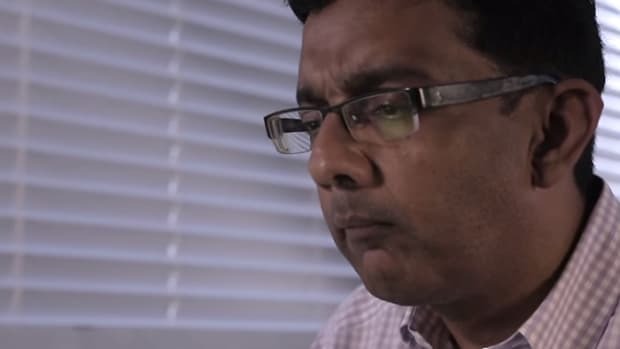 For D&apos;Souza, everything is part of a plan. As he said in his movie about the alleged "shaming" of America by liberals, "The shaming of America is not accidental. It&apos;s part of a strategy." This type of Glenn Beck-style paranoia has become the norm among conservatives living in Obama&apos;s America. For conservatives, virtually every scandal and crisis is part of a broader liberal conspiracy manufactured or facilitated by Obama which, though he&apos;s apparently mastered the art of deception, always seems to get caught by intrepid conservative watchdogs. Like Darrell Issa. "I made a mistake and I’m not above the law. No one is. But we don’t want to live in a society where Lady Justice has one eye open and winks at her friends and casts the evil eye at her adversaries. Where will they stop?" There you have it. And so if we apply this logic to the illegal immigration crisis, it could be said that any undocumented immigrant who is deported is also a victim of selective targeting by the government because the majority of them are never sent back. So the next time some immigrant is facing deportation back to Latin America, he should just use this argument and see what happens. Call it the D&apos;Souza D&apos;Fense.